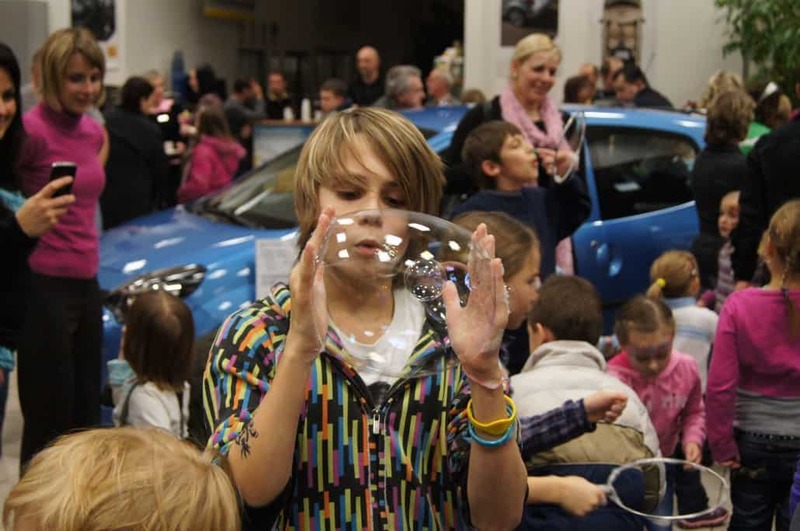 PERFORMANCE FOR KIDS AS WELL AS ADULTS. 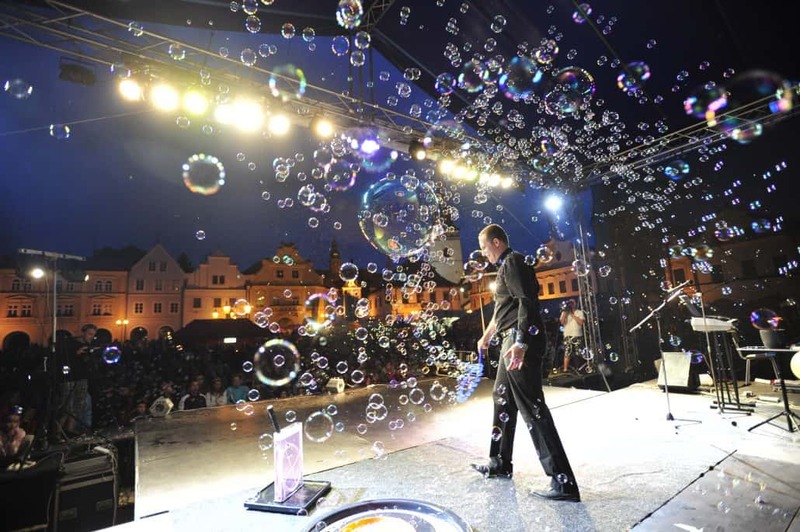 Matěj has been performing stunning shows worldwide in different variations and innovations since 2008. 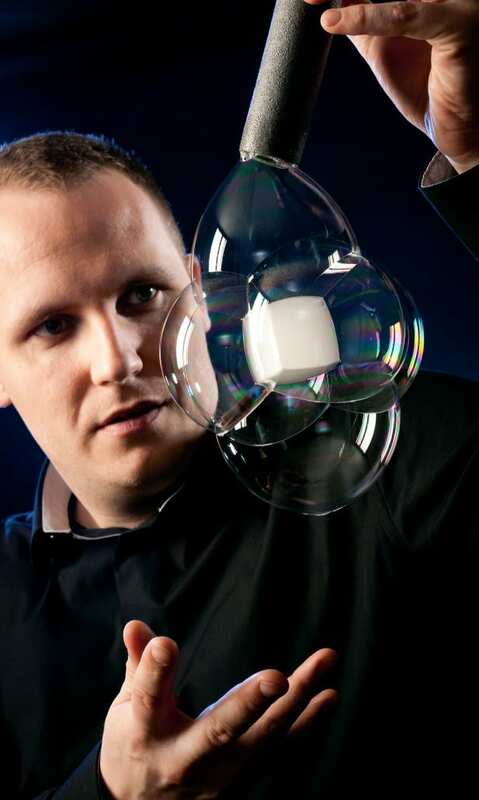 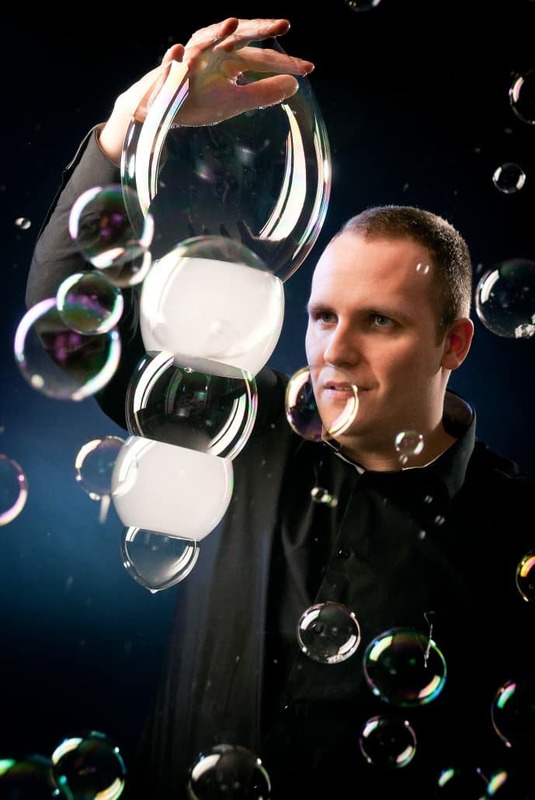 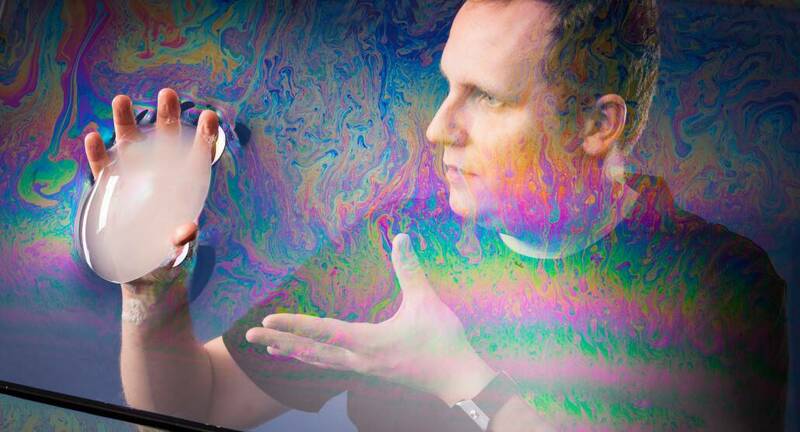 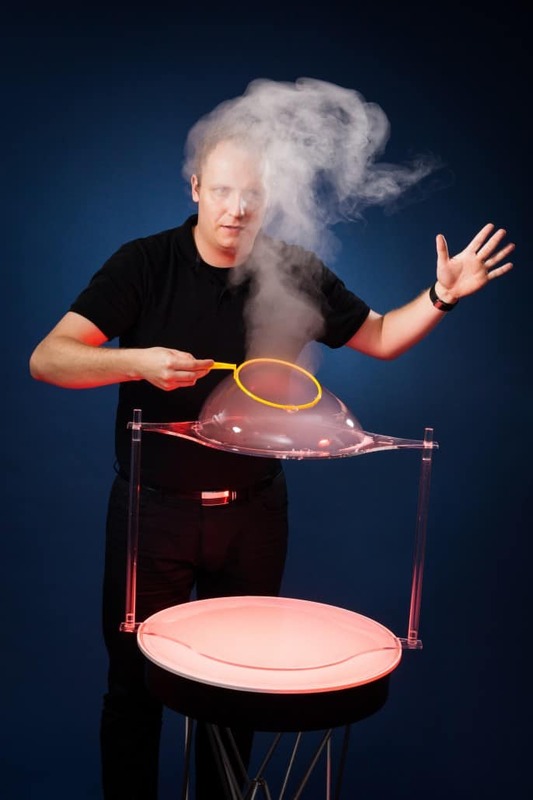 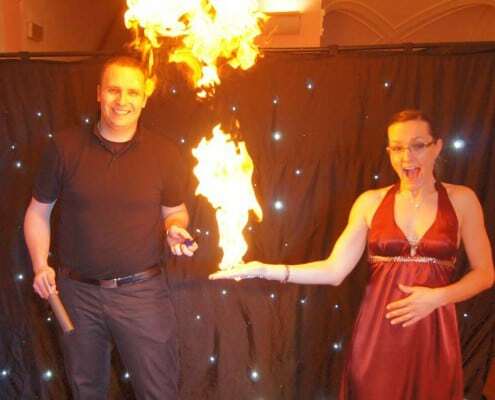 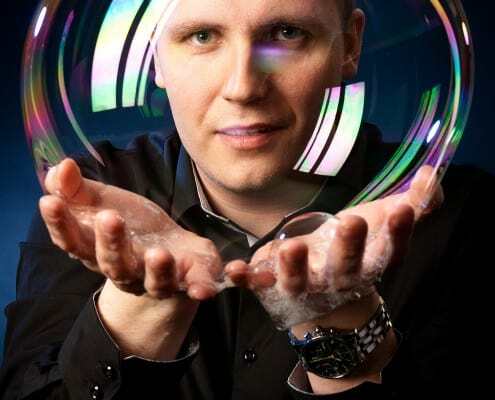 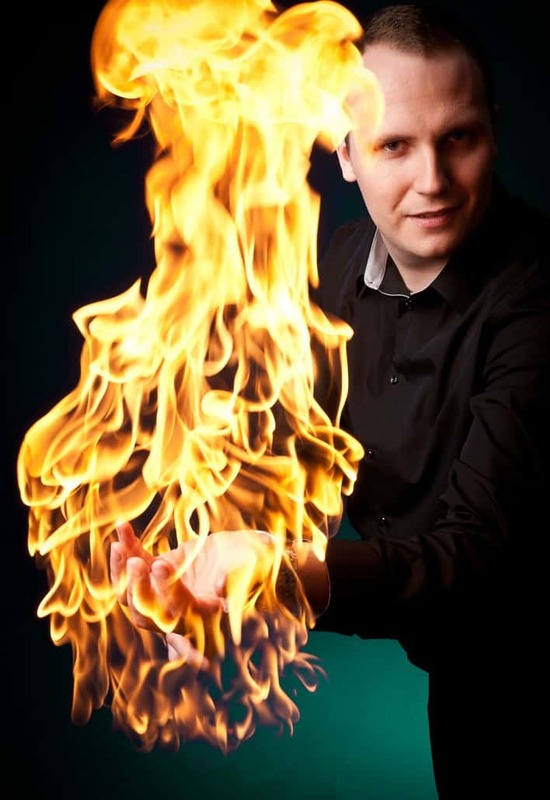 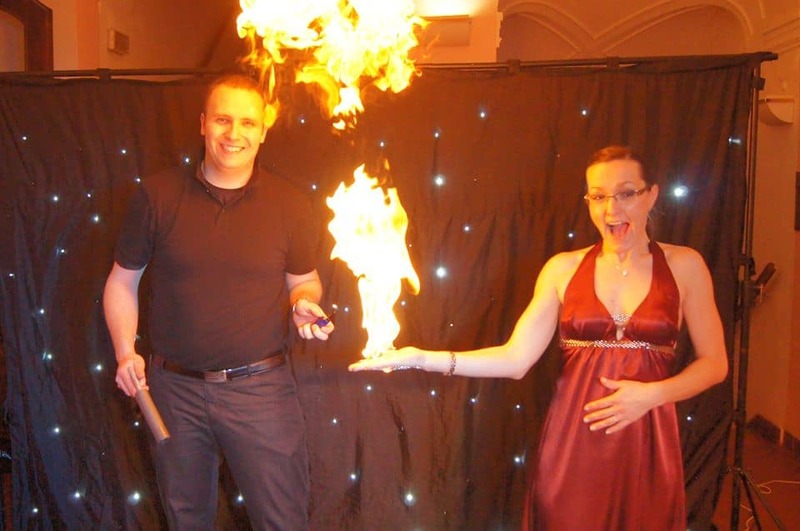 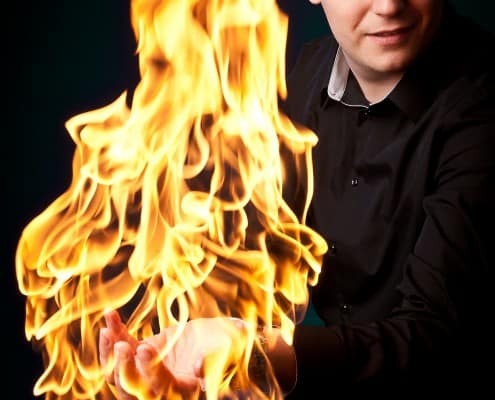 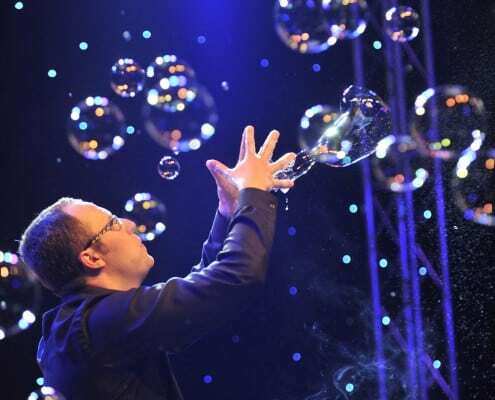 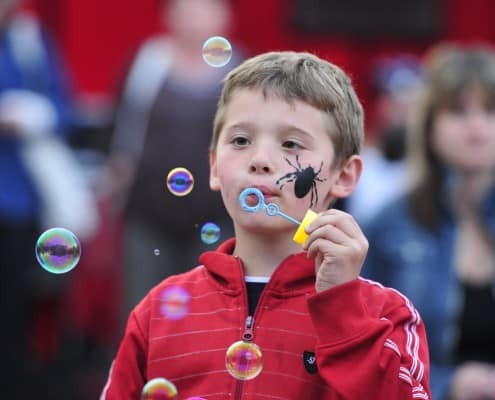 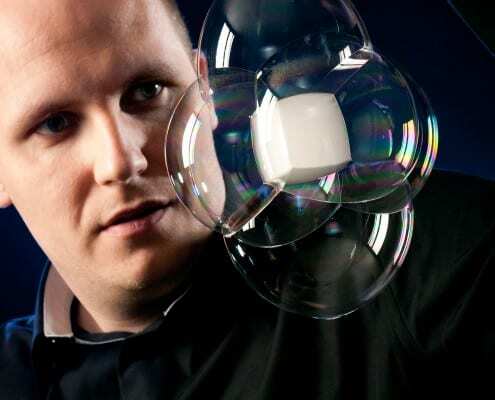 In this professional exhibition you will see fantastic magic tricks with bubbles of incredible shapes and sizes. 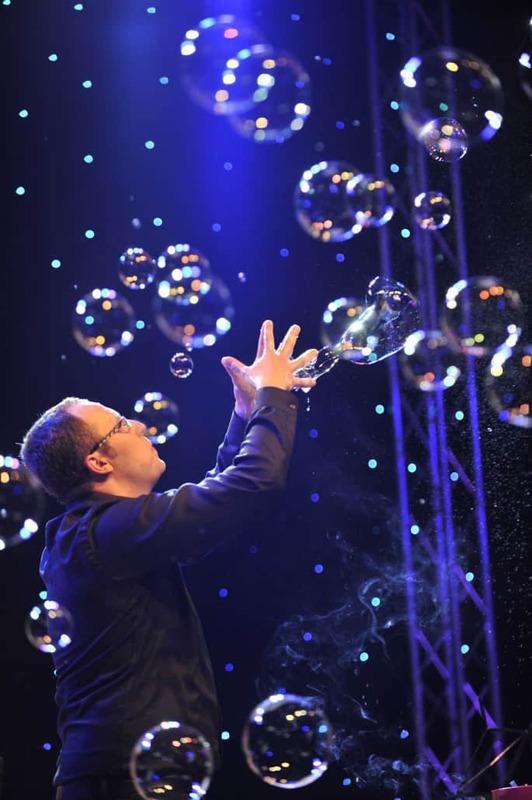 This show with its challenging choreography is a combination of the best and the most spectacular, and beloved tricks, and its appeal is enhanced by original music. 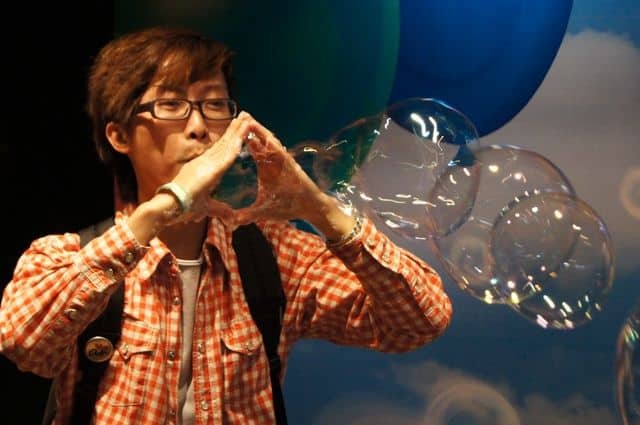 The length of the show is between 15 -20 minutes, with a workshop for 60 minutes. 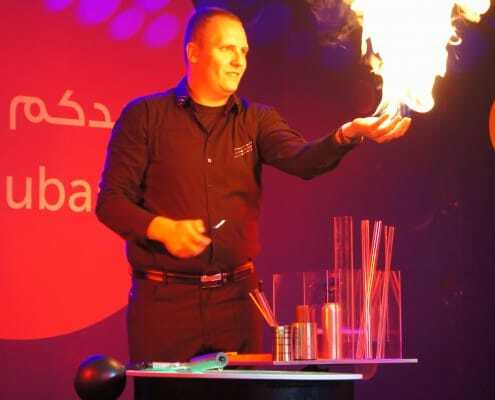 The show is suitable for indoor and outdoor events, for adults and young audience, as well as the demanding audience. 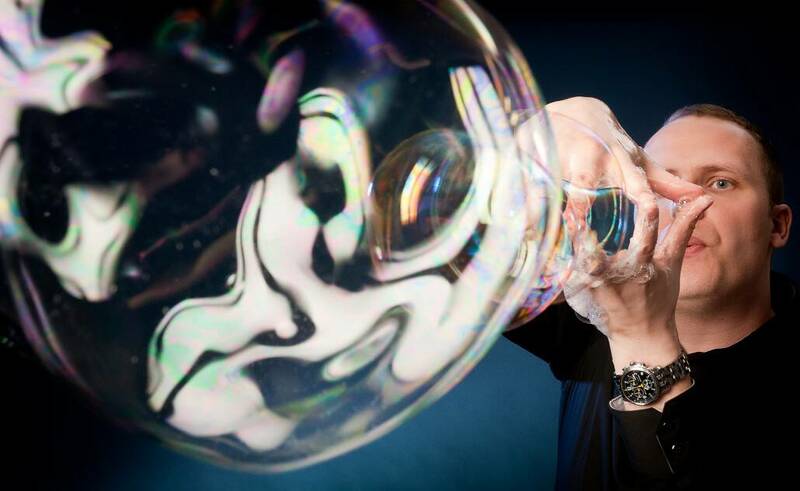 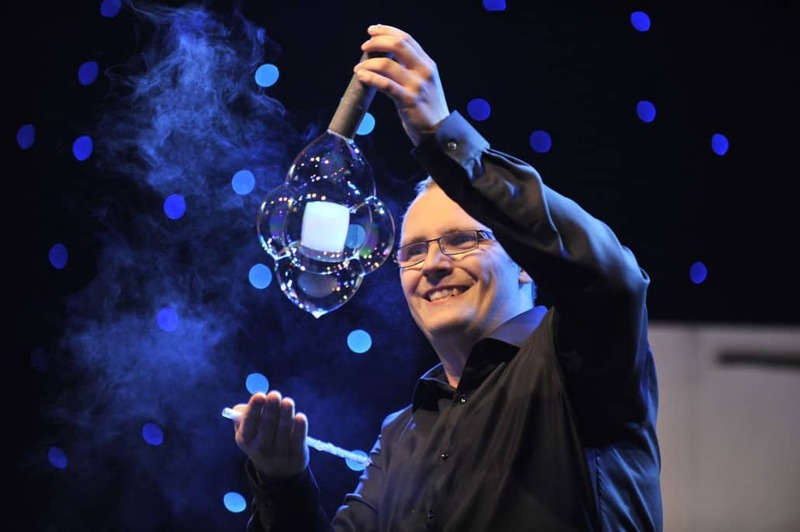 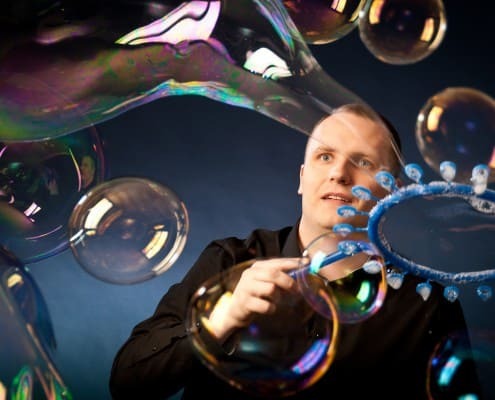 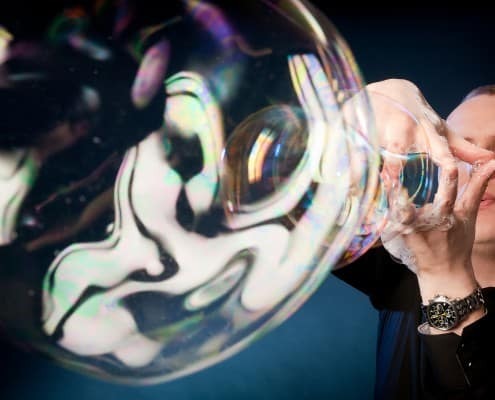 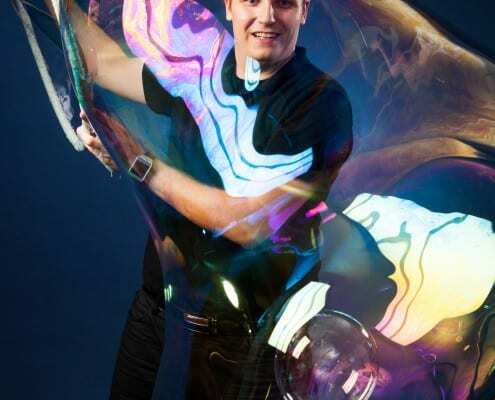 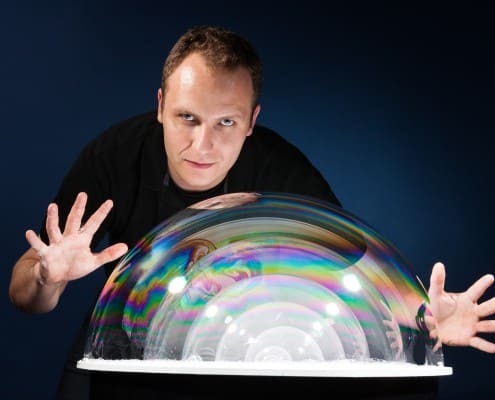 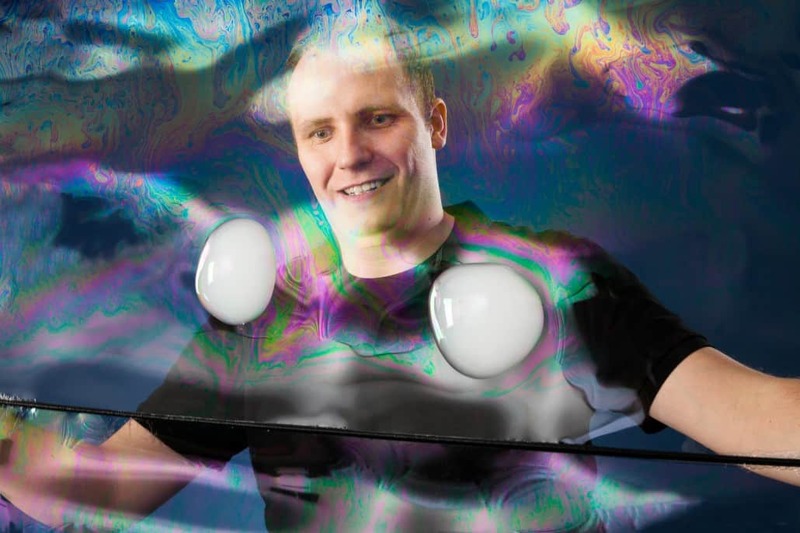 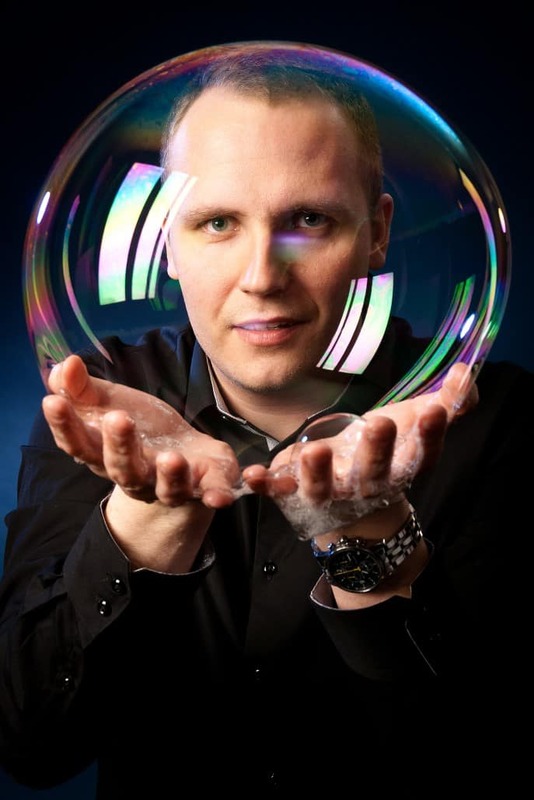 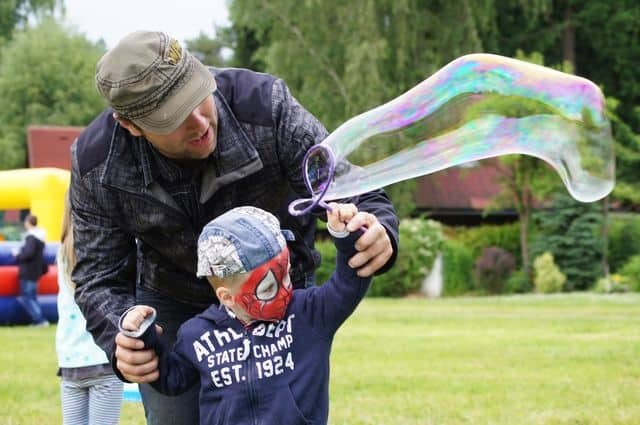 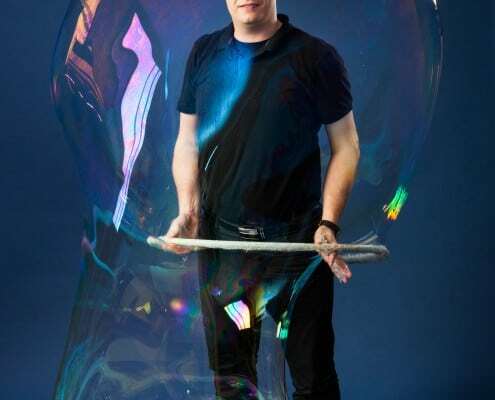 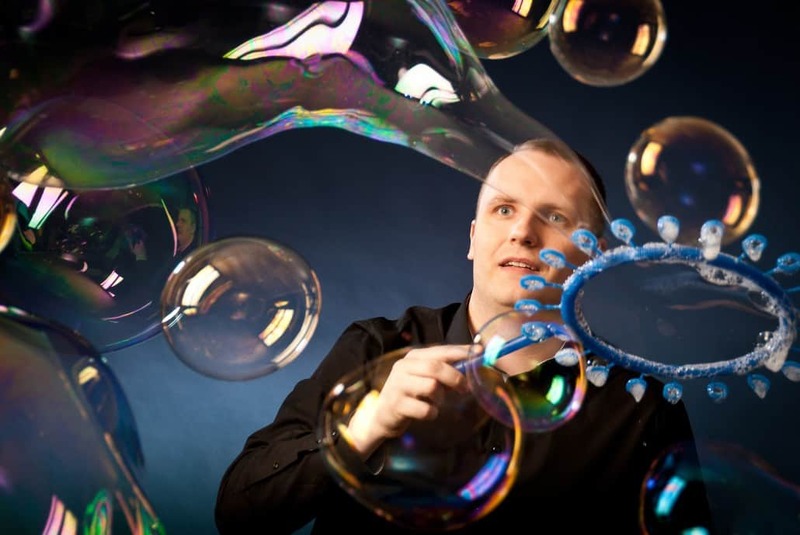 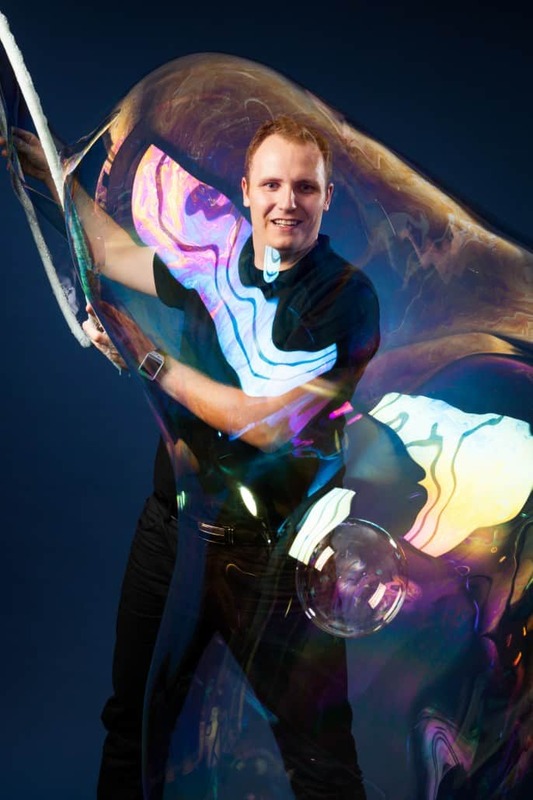 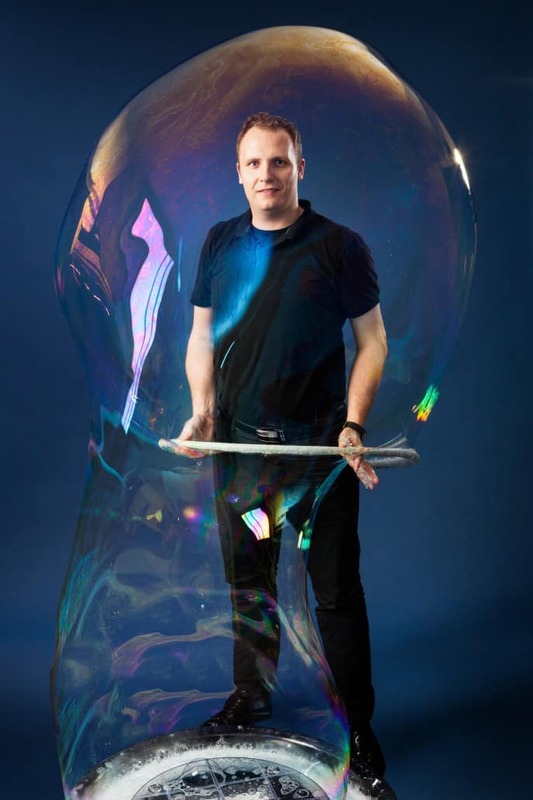 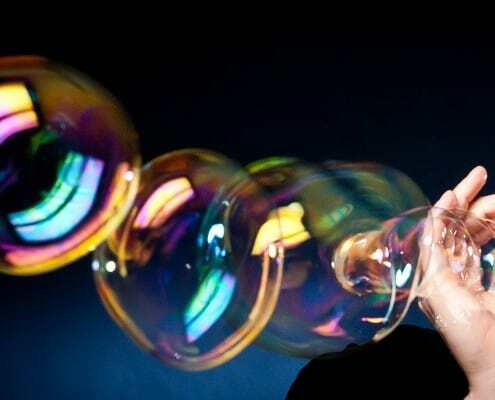 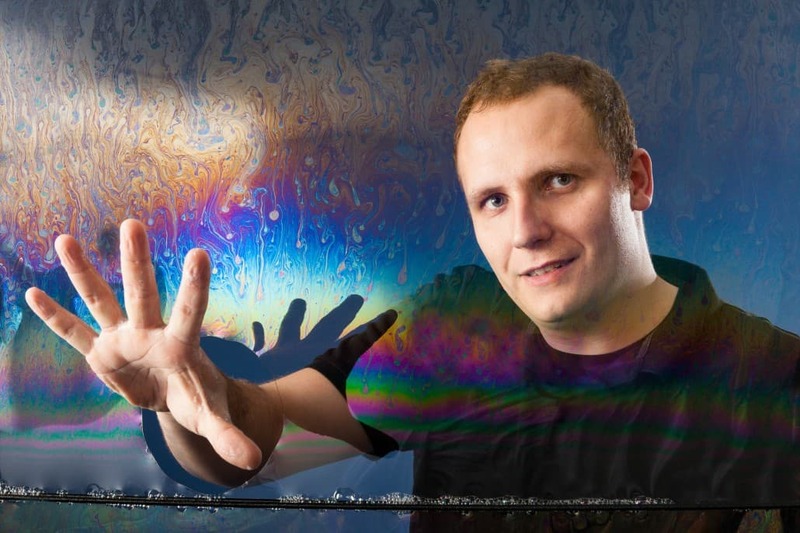 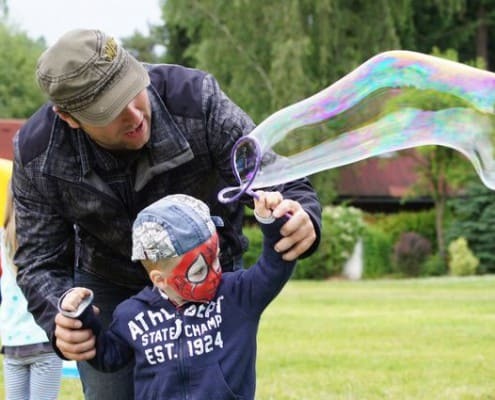 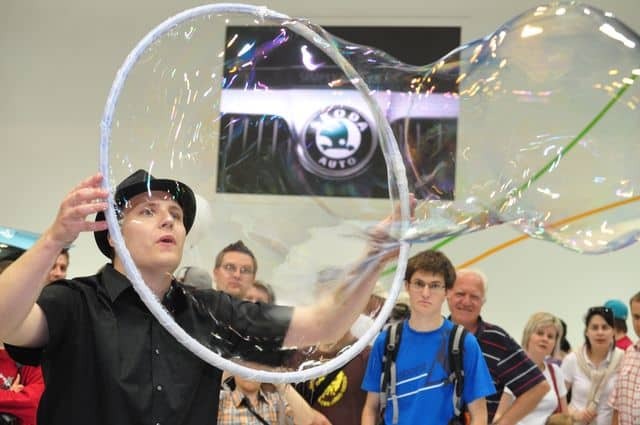 For the 2015 Bubble Show you will see completely new and unique shows from the workshop of Matěj Kodeš, which is composed of special bubble tricks, effects and unique props, all accompanied by spectacular music. 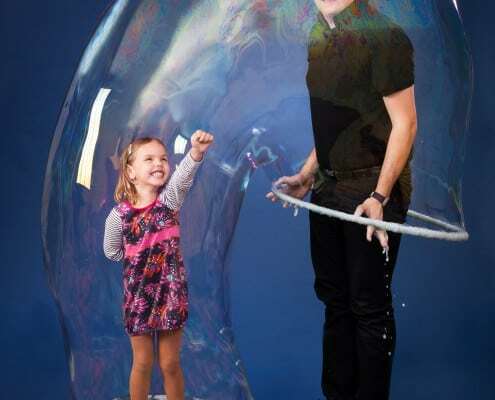 Each and every show is centered for kids as well as adults. 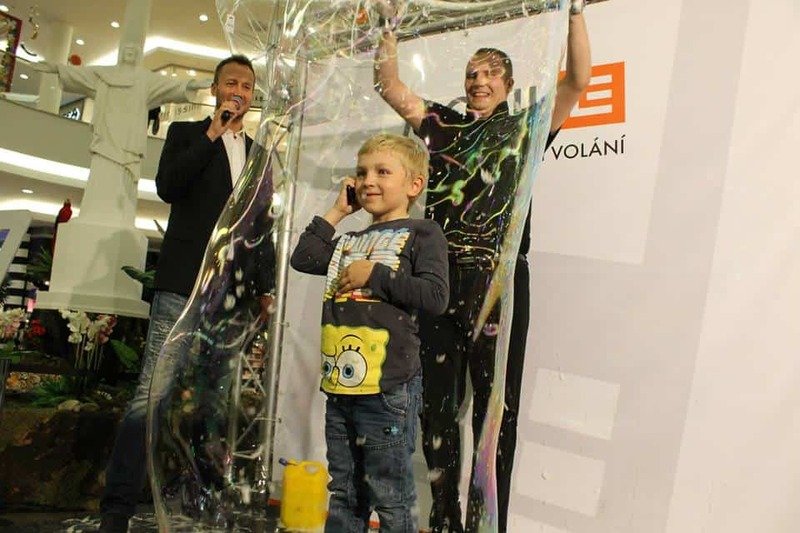 This show is highly recommended especially for audiences who has already seen the bubble show of Matěj Kodeš and wants to see more. 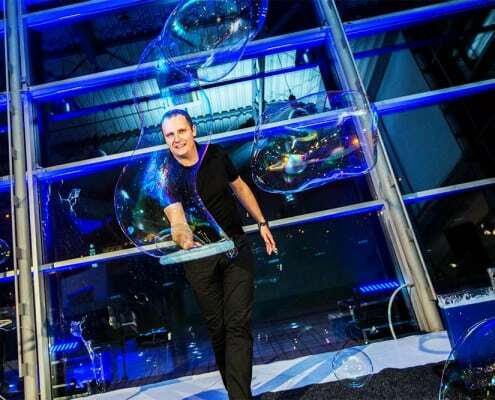 The length of the show is around 10 minutes, with workshop 60 minutes. 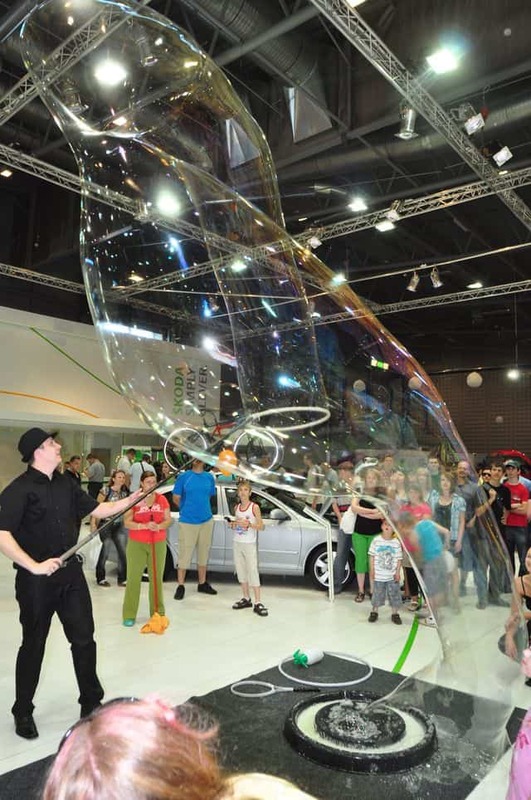 Due to the complexity of this show it is suitable for larger stages. 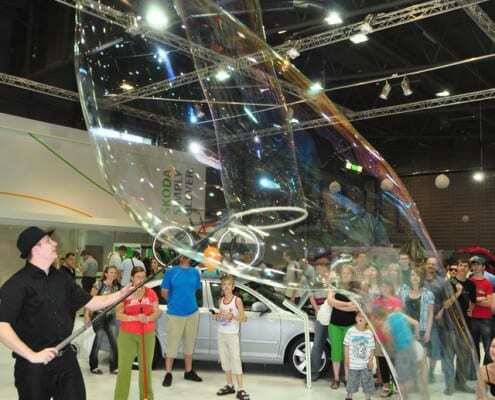 The minimum space required for the show is 6 x 3 meters. 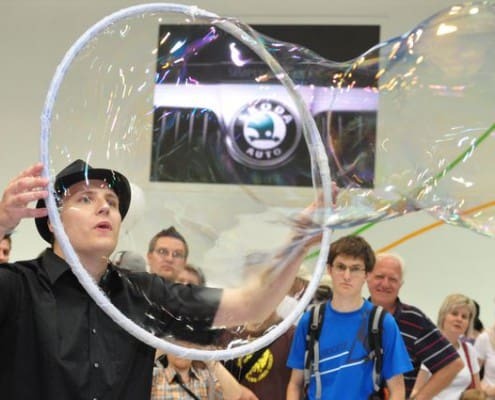 This show can be held only indoors, free from draft. 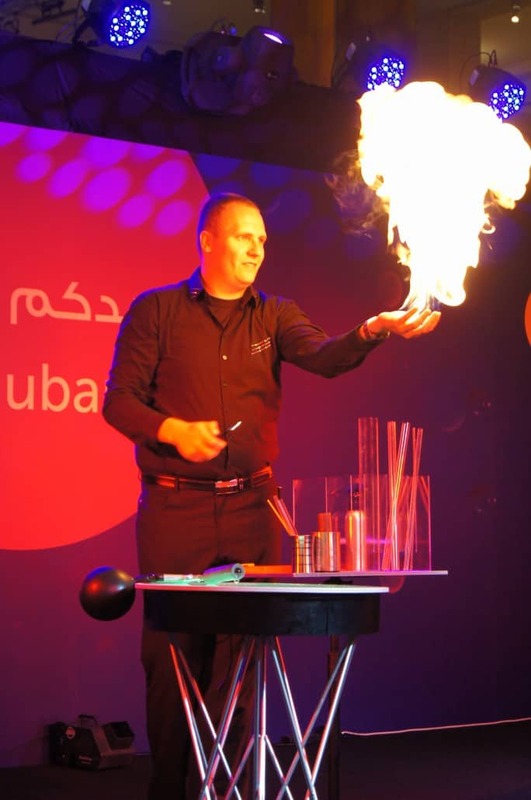 The combination of both shows provides an unusual and memorable experience. 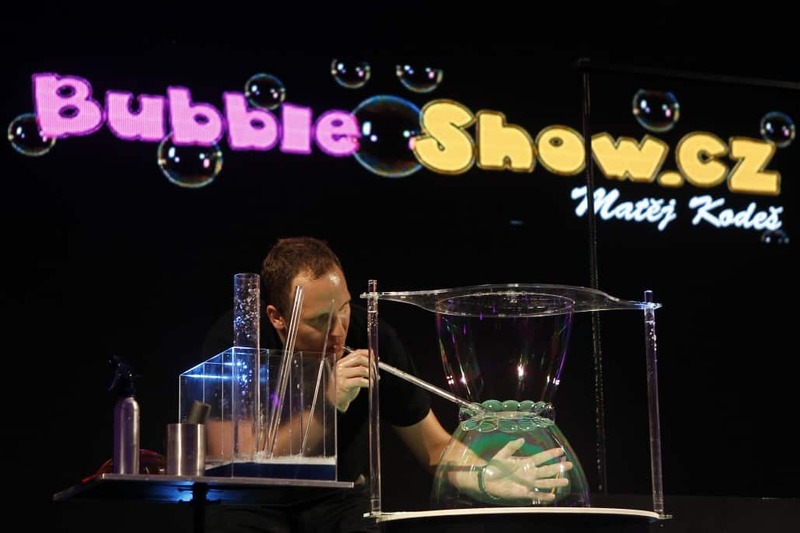 This will be ideal for a great stage show for municipal auditoriums. 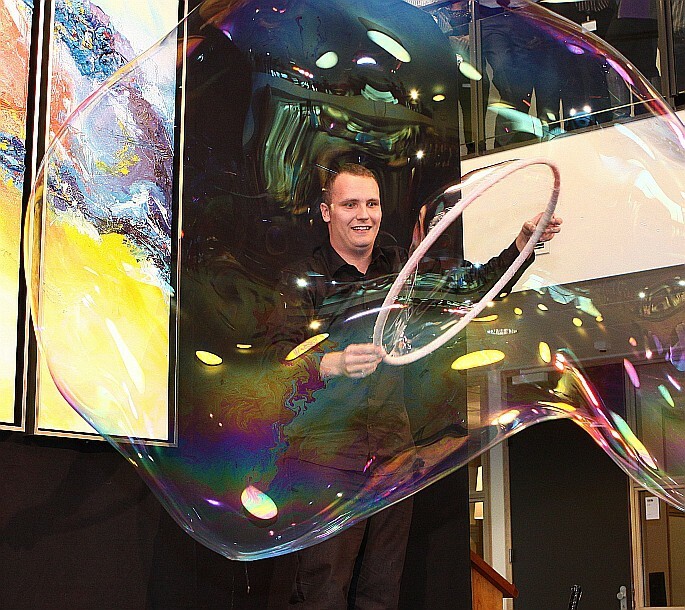 The length of the show is around 30 minutes, with workshop 60 minutes. 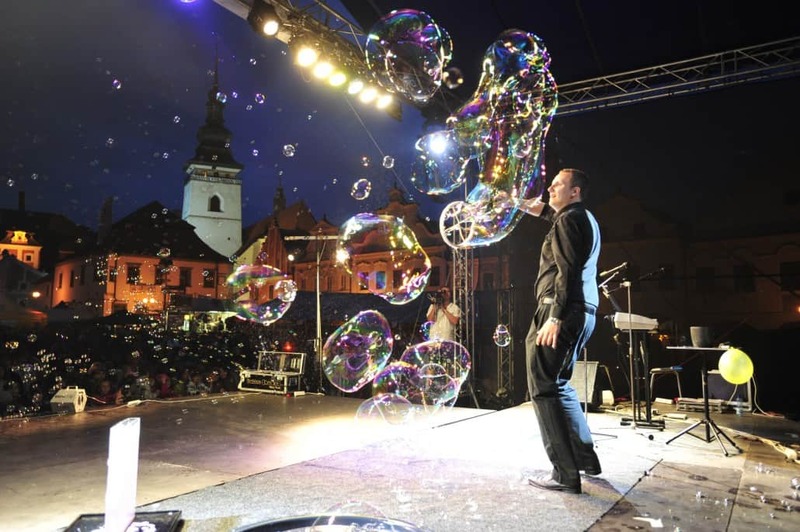 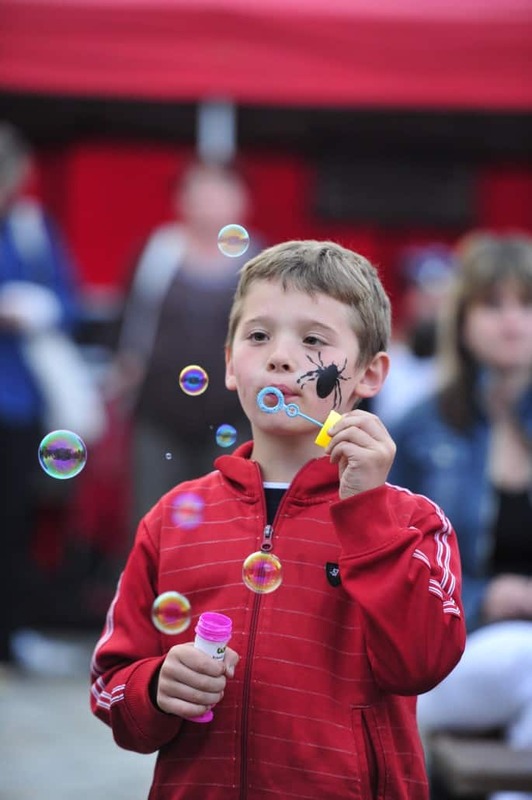 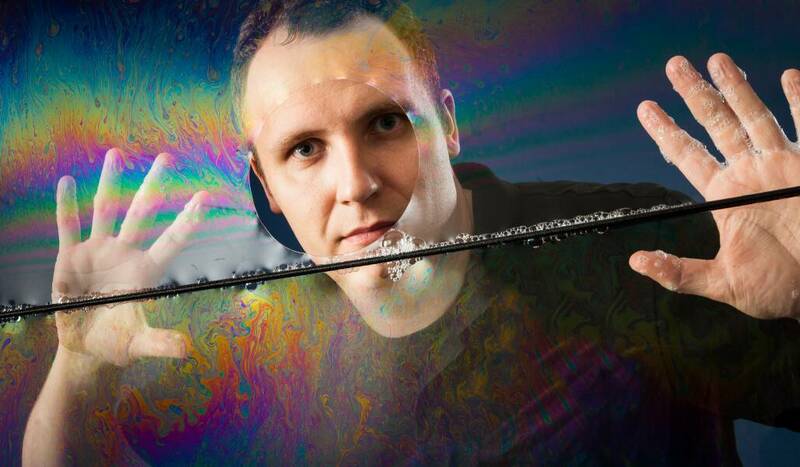 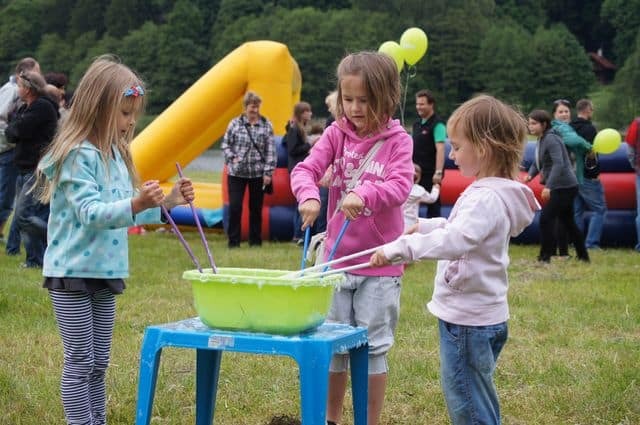 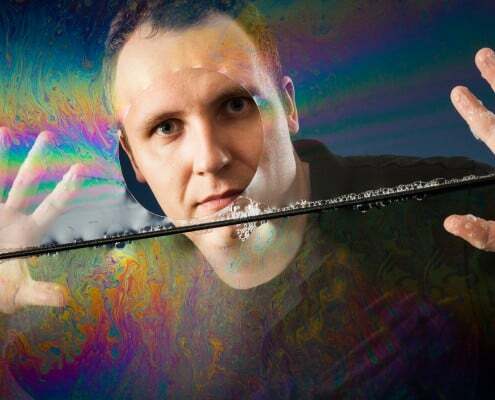 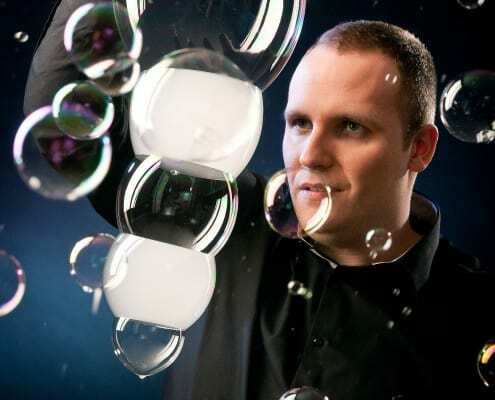 Workshop or the bubble school under the direction of Matěj Kodeš, is recommended to add to each of the shows. 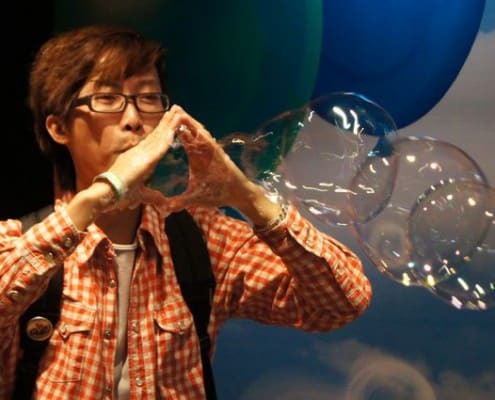 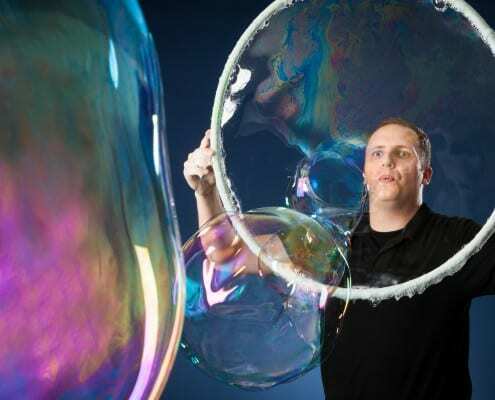 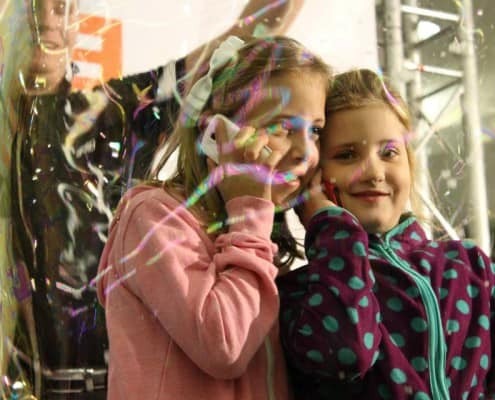 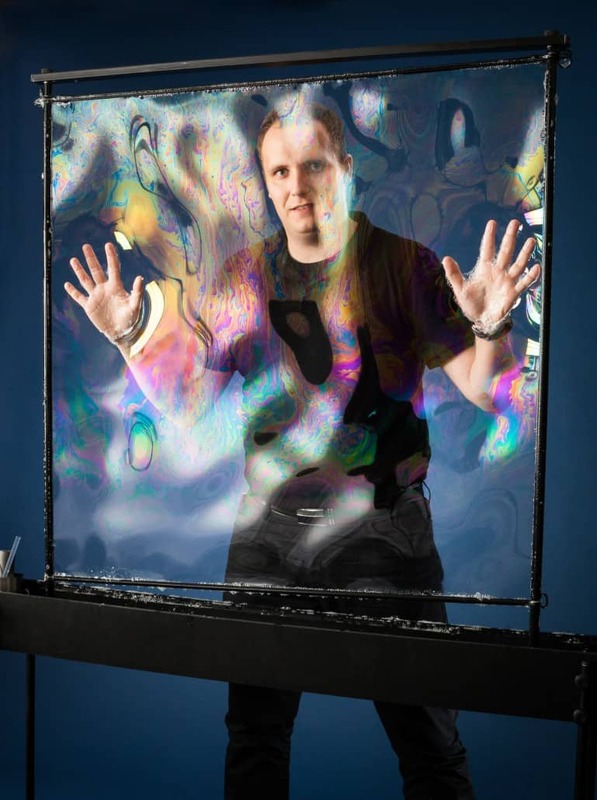 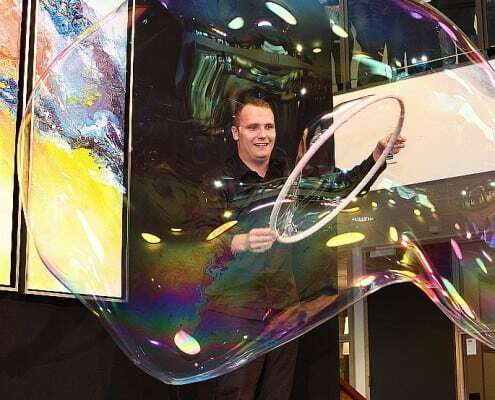 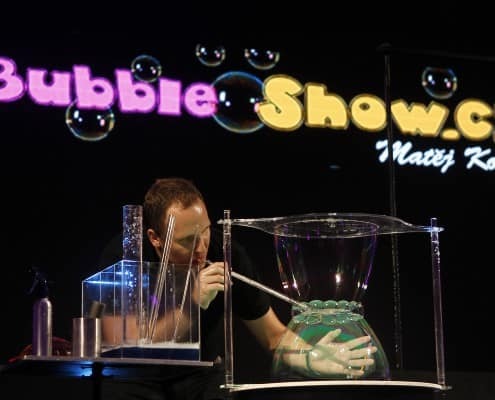 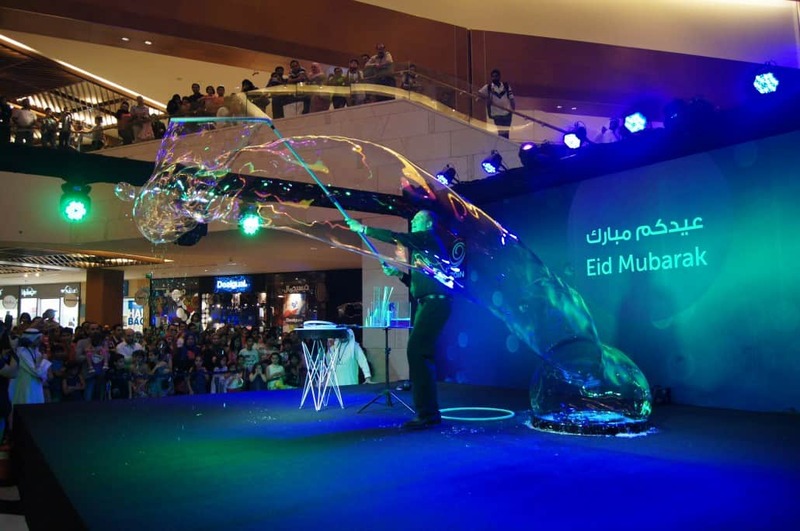 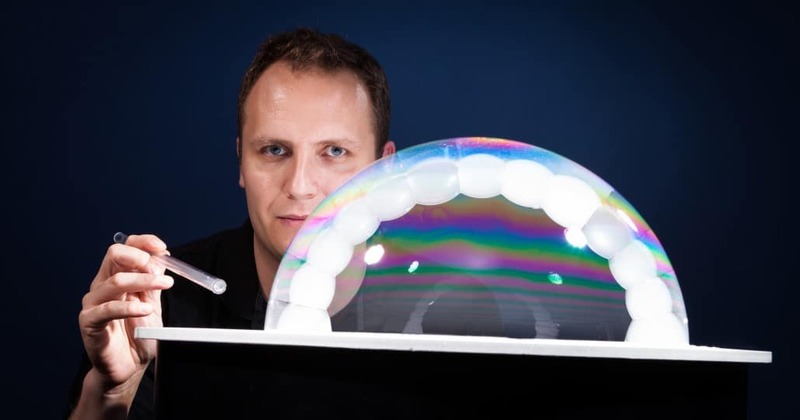 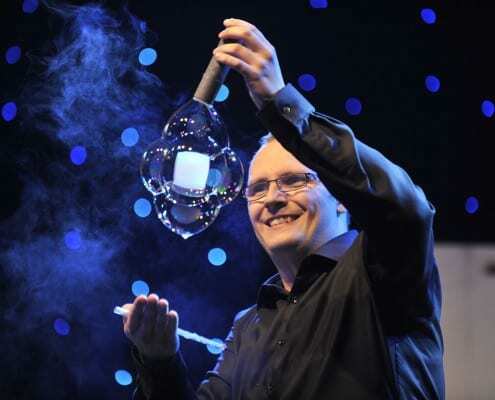 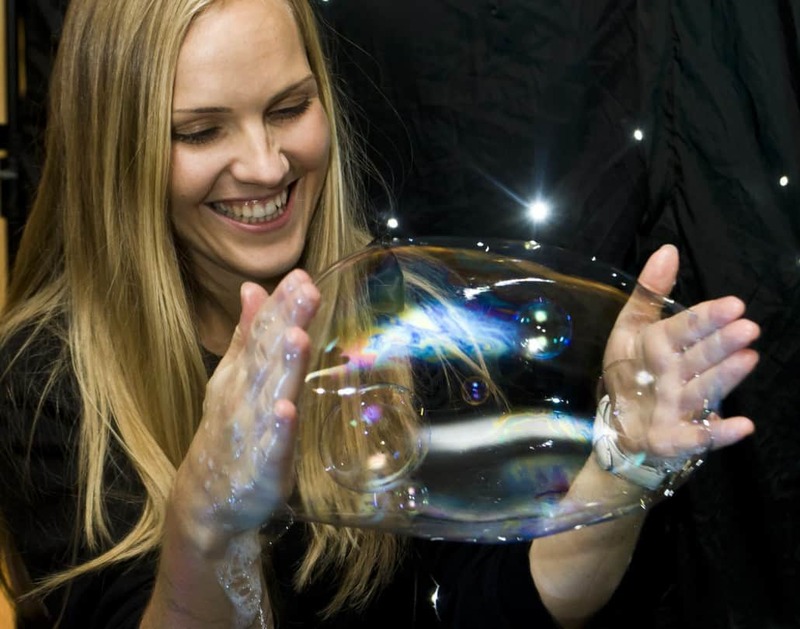 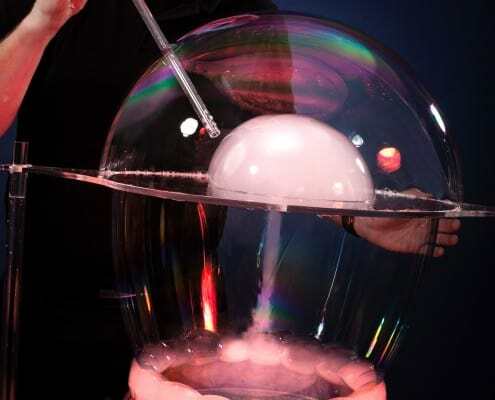 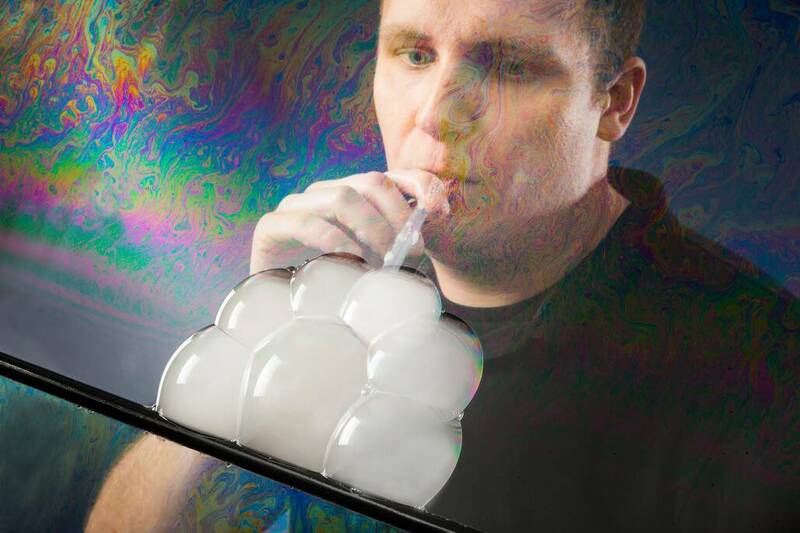 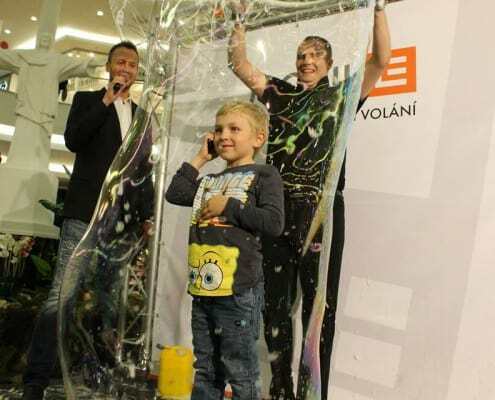 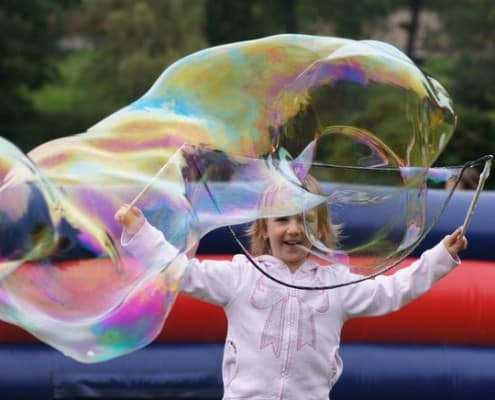 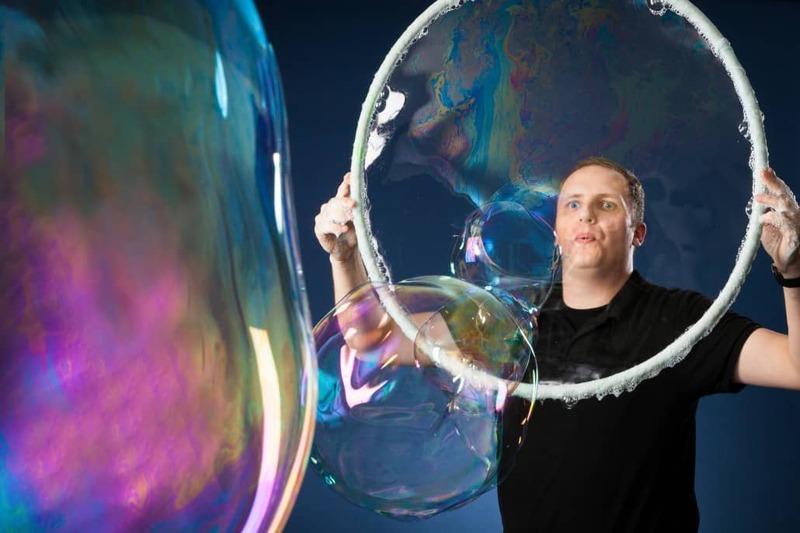 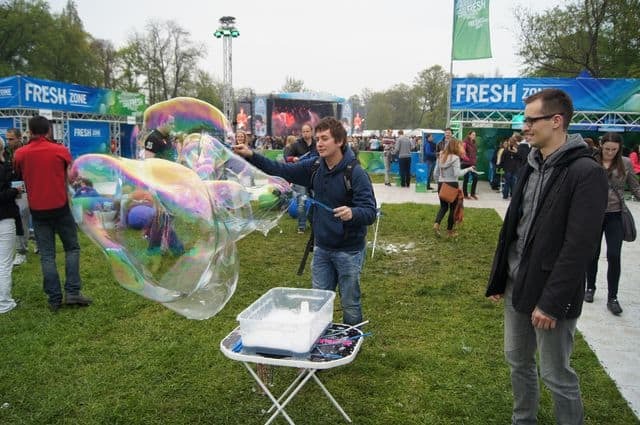 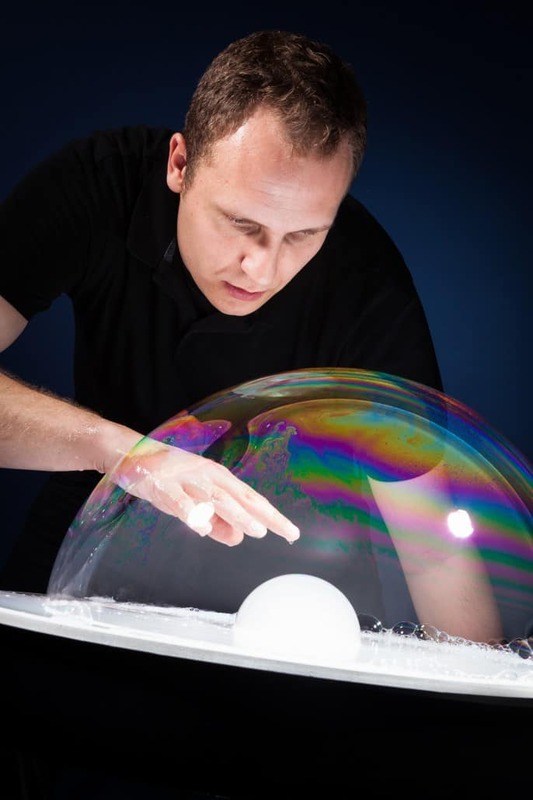 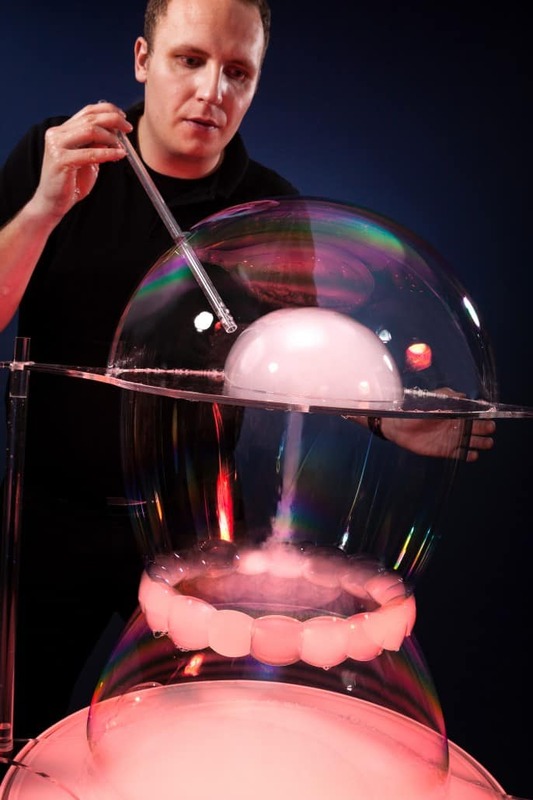 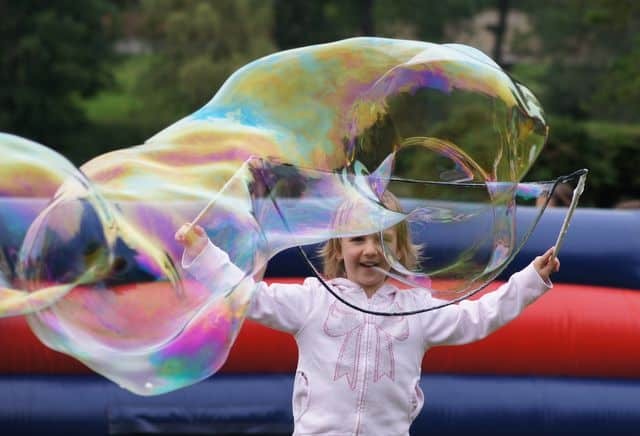 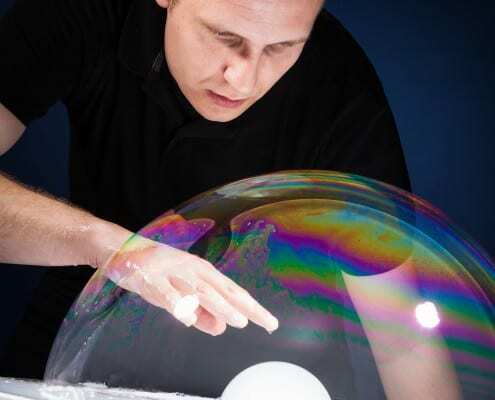 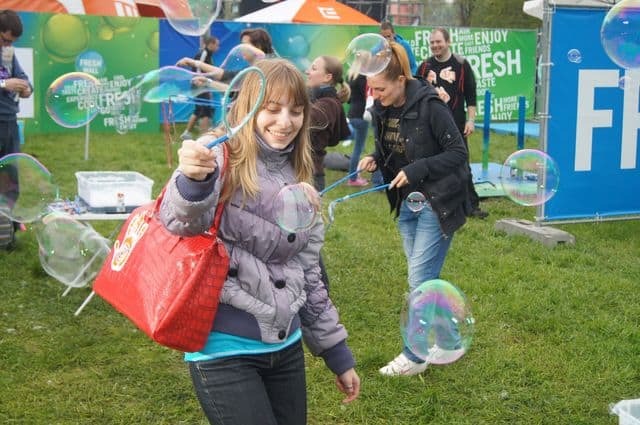 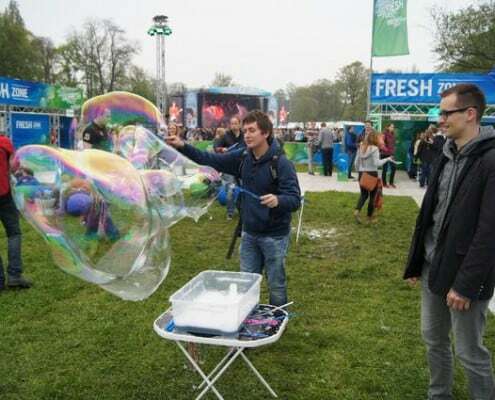 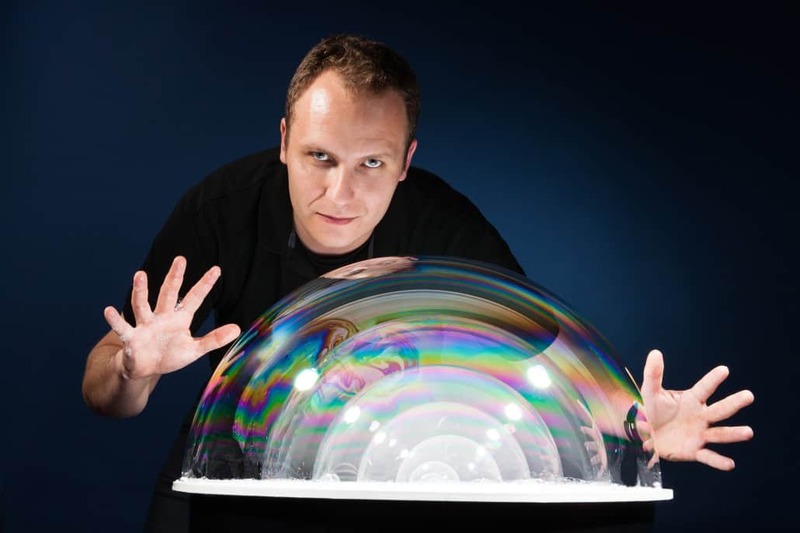 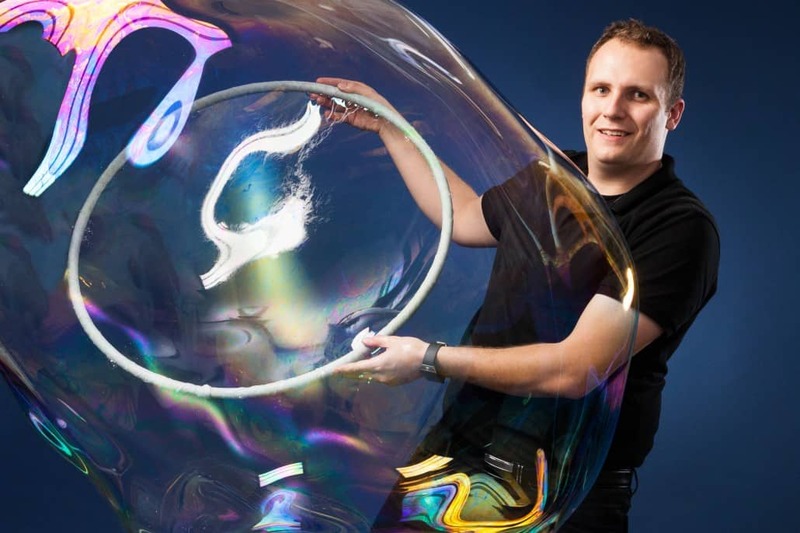 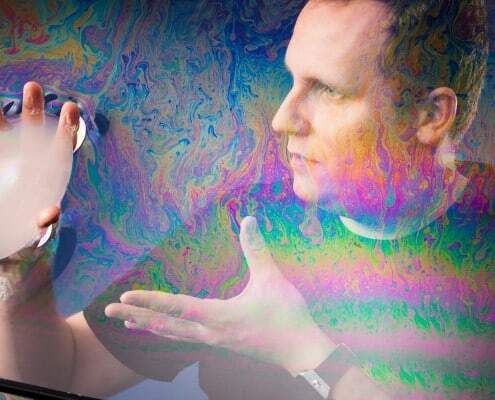 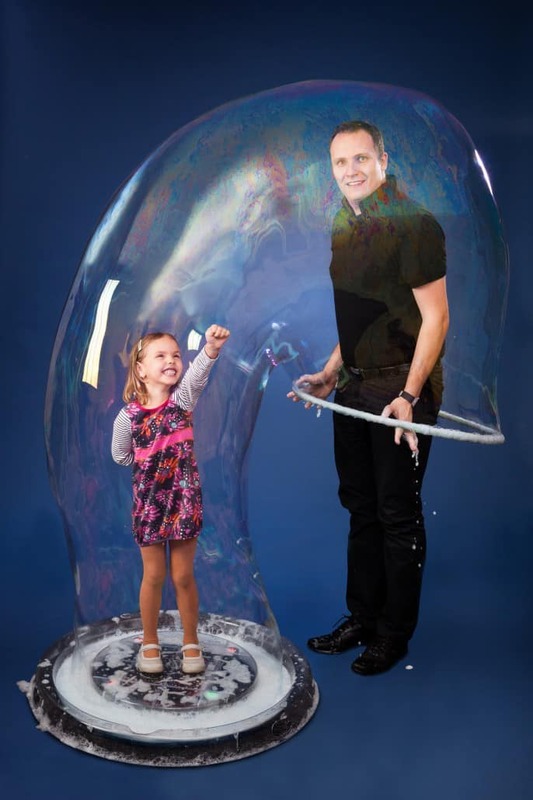 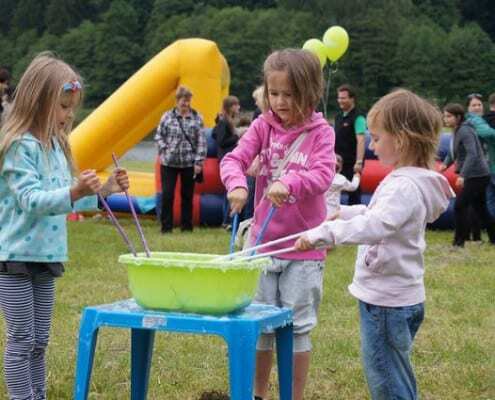 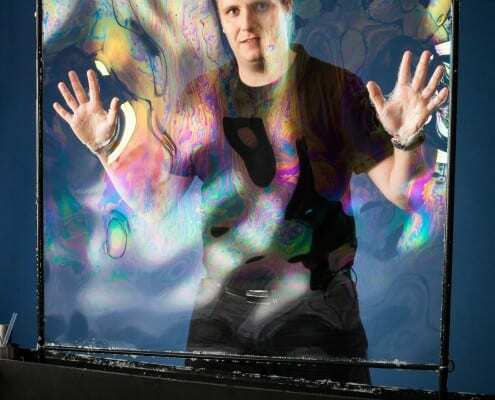 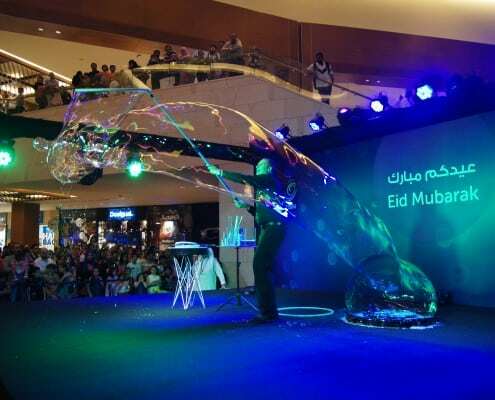 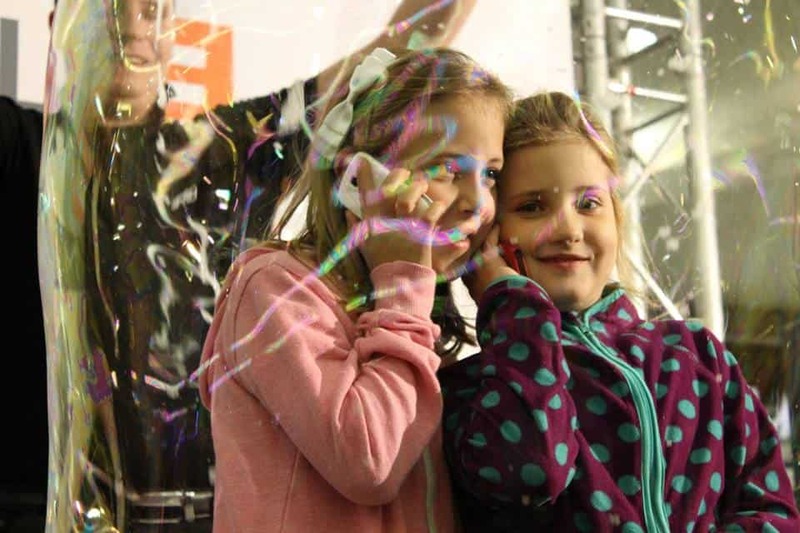 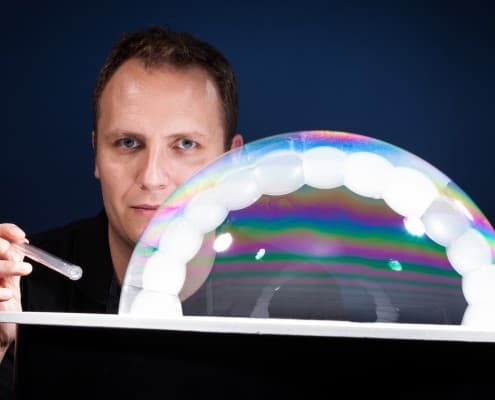 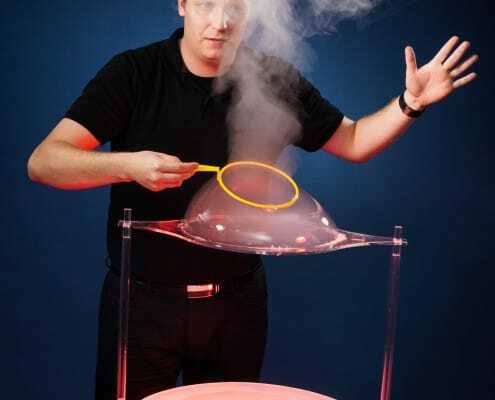 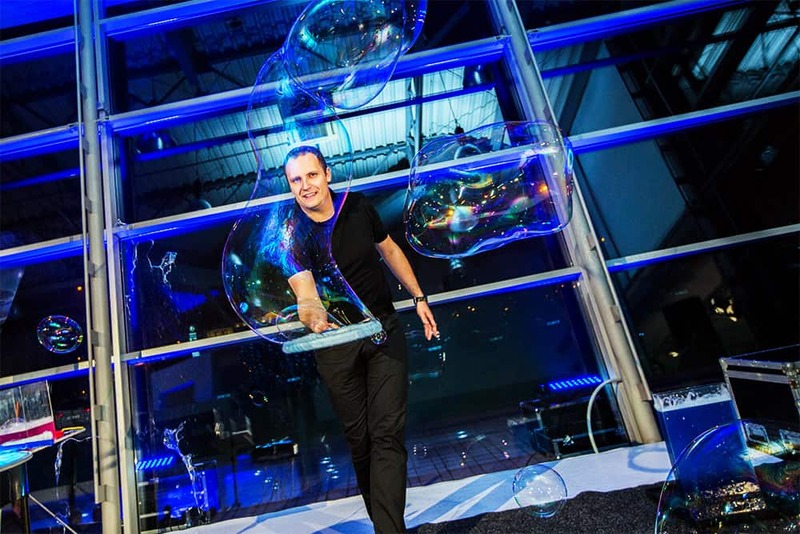 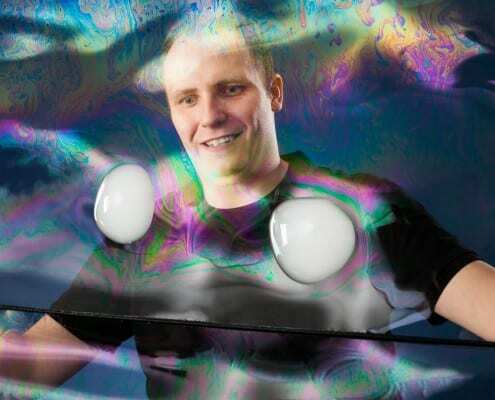 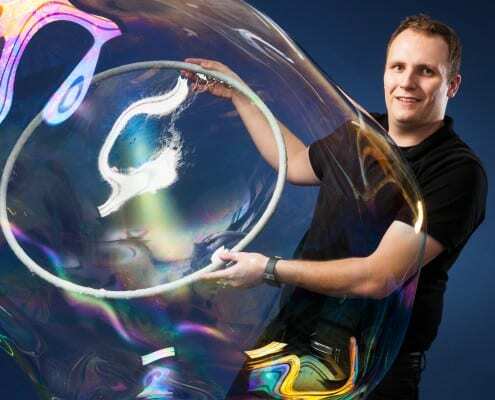 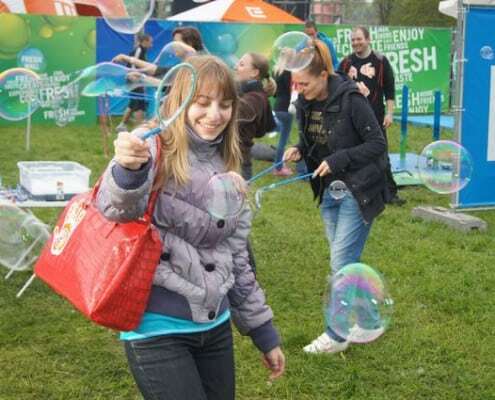 This is a very popular interaction with the audience during which the attendees can try professional bubble liquid and learn something of the tricks seen in the show. 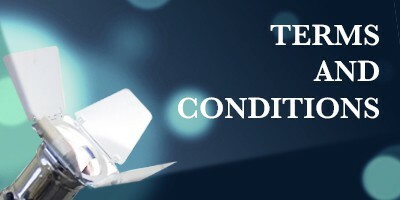 Workshop is adjusted according to the audience group as well as by space. 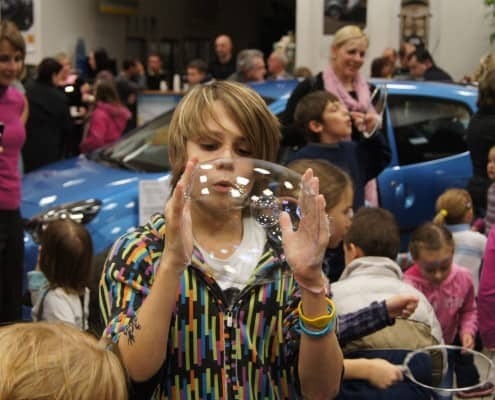 Workshops are also offered separately, under the guidance of trained animators.